Предметом данного исследования является становление мирового гражданского общества в условиях гло-бализации и его превращение в одного из ведущих акторов мировой политики. Этот процесс вызывает повышенный интерес со стороны политиков и традиционных «центров власти», теряющих монополию на принятие судьбоносных решений. В статье раскрываются противоречия между «наднациональными» и национальными институтами гражданского общества. Особое внимание обращено на уровень компетентности гражданского общества, а также на защиту институтов академической демократии и компетентность государственных структур. Ключевые слова: научная и политическая компетентность, компетенция, аналитика, эксперт, экспертиза, соци-альная технология, академическая демократия, границы времени и пространства. Кант И. Спор факультетов // Сочинения: В 6 т. Т. 6. М.: Мысль, 1966. С. 313–347. Комлева Н.А. Политическая элита как комбатант сетевых войн // Пятый всероссийский конгресс политологов «Изменения в политике и политика изменений: стратегии, институты, акторы». Тезисы докладов. Москва, 20–22 ноября 2009 г. М.: Российская ассоциация политической науки, 2009. С. 215–216. Лиотар Ж.-Ф. Состояние постмодерна. М.: Институт экспериментальной социологии, СПб. : Алетейя, 1998.Рассудовский В.А. Свобода науки: права человека и демократия // Вестник Российской академии наук. 1992. Т. 62. №. 2. С. 3–5. Расторгуев В.Н. Компетентное гражданское общество в контексте современной геополитики // Вестник славянских культур. 2008. Т. 9. С. 4–14. Расторгуев В.Н. Свобода мысли и возможность выбора: политическая и академическая демократия // Вестник Московского университета. Сер. 12, Политические науки. 2005. №. 1. С. 58–79. Расторгуев В.Н. Политическое планирование в условиях «водного голода» // Вестник МГИМО (Университета). 2011. № 1. C. 7–14. Ридингс Б. Университет в руинах. М.: ГУ ВШЭ, 1996. Тимирязев К.А. Наука и демократия: Сб. статей, 1904–1919. M.: Госиздат, 1920. Философия истории: Учеб. пособие / Под ред. А.С. Панарина. М.: Гардарики, 1999. Berlin I. Two Concepts of Liberty. London: Oxford Univ. Press, 1969. Durkheim E. "Intellectual Elites and Democracy." Sociological Inquiry 42.2 (1972): 107. Edel A. The Struggle for Academic Democracy: Lessons from the 1938 ‘Revolution’ in New York's City Colleges. Philadelphia, PA: Temple University Press, 1990. Englund T. "Higher Education, Democracy and Citizenship — the Democratic Potential of the University?." Studies in Philosophy and Education 21.4-5 (2002): 281-287. Giroux H.A. "Neoliberalism, Corporate Culture, and the Promise of Higher Education: The University as a Democratic Public Sphere." Harvard Educational Review 72.4 (2002): 425-464. Hollander E.L., Saltmarsh J. "The Engaged University Education for Democracy Can Renew the Academic Community." Academe — Bulletin of the AAUP 86.4 (2000): 29—32. Ladwig, J. "Educational Inlellectuals and Corporate Politics." After Postmodernism: Education, Politics and Identity. Eds. R. Smith, and P. Wexler London: Palmer, 1995. Lynch R.G. "Pawns of the State or Priests of Democracy? Analyzing Professors' Academic Freedom Rights Within the State's Managerial Realm." California Law Review (2003): 1061–1108. Ostrander S.A. "Democracy, Civic Participation, and the University: A Comparative Study of Civic Engagement on Five Campuses." Nonprofit and Voluntary Sector Quarterly 33.1 (2004): 74-93. Расторгуев, В. Н. Компетентность в политике и компетентное гражданское общество, возможности академической демократии [Электронный ресурс] / В.Н. Расторгуев // Электронное научное издание Альманах Пространство и Время. — 2014. — Т. 6. — Вып. 1: Гражданское общество и общество граждан: вопросы теории и практики. Тематический выпуск кафедры философии политики и права Философского факультета МГУ имени М.В. Ломоносова. — Стационарный сетевой адрес: 2227-9490e-aprovr_e-ast6-1.2014.13. Feature of modernity are large expenses for scientific and analytical support for projects in the field of national and inter-national policies. Also, we are seeing the increasing of the status of world's scientific and expert community as the most im-portant link of the competent civil society and, at the same time, as an arbitrator in the resolution of political conflict. Transmutations of civil society into one of the leading actors of global politics cause an increased interest on the part of poli-ticians and the traditional ‘power centers’ that are losing their monopoly on fateful decisions. The subject of my research is processes of becoming and transformations of a global civil society in the globalization con-text. The article reveals the contradictions between the ‘supranational’ and the national institutes of civil society. My research is a socio-philosophical and conceptual-discursive comparative analysis of political and academic democracy. In particular, I show academic democracy, for all its originality and visible ‘undemocratic’ character (insusceptibility to the challenges of time, lifelong academic degrees and titles, an abundance of intricate hierarchical barriers, gradations, rules and conventions, etc. etc. ), has greater freedom than modern political democracy. Academic democracy unlike political one is not inclined to double standards, and only this democracy is truly international. In my article, I paid the special attention to the threats for academic democracy that comes from the neo-democratic po-litical elite. I conclude there are three major threats to of academic democracy. First, the reason for falling of academic democracy is unrestricted right of major countries and corporations to freely ‘buy brains’ and products of scientific activity, as well as right to concentrate scientific ideas in the same hands, in some regions of the world, turning these ideas into a commodity and using imperfection of copyright in which factors of globalization not been factored the in proper degree. Secondly, psychological set on personal disinterestedness of scientist, on general accessibility of results of scientific work leads to the same result. This attitude is cultivated in the scientific community since time immemorial. So, implicit breach of this norm by applied scientists could explain the criticism that they are subjected (usually in delicate forms) from the ‘pure’ scholars. As a result, this norm strengthens the sensitivity of scientists to approval emanating from their own kind, and thereby enhances the effectiveness of internal control and professional autonomy. Third, a special risk for the future of whole civil society is the delegitimization of universities and institutes of higher education, which is now carried out intensively in the interests of further policy rationalization. For this purpose universities would be subordinated to the requirements of the formation of competence rather than ideals (as in his time Lyotard pointed out). Keywords: scientific and political competence, competency, analyst, expert, expertise, social technology, academic democracy, the boundaries of time and space. Kant I. "The Conflict of the Faculties = Der Streit der Fakultaten." Writings. Moscow: Mysl Publisher, 1966, vol. 6, pp. 313–347. (In Russian). Komleva N.A. "The Political Elite as a Combatant of Network Warfare." 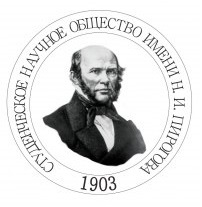 Proceedings of the Fifth All-Russian Congress of Political Scientists "Changes in Policy and Policy of Change: Strategies, Institutions, and Actors". 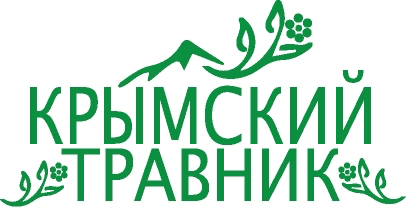 Moscow: Russian Political Science Association Publisher, 2009, pp. 215–216. (In Russian). Ladwig J. "Educational Inlellectuals and Corporate Politics." After Postmodernism: Education, Politics and Identity. Eds. R. Smith and P. Wexler. London: Palmer, 1995. Lyotard J.-F. The Postmodern Condition: A Report on Knowledge. 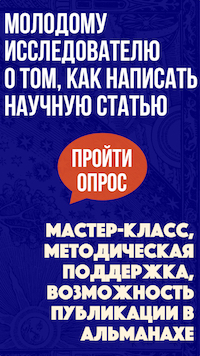 Moscow: Institute of Experimental Sociology Publisher, St. Petersburg. : Aletheia Publisher, 1998. (In Russian). Panarin A.S. ed. Course on Philosophy of History. M.: Gardariki Publisher, 1999. (In Russian). Rassudovsky V.A. "Freedom of Science: Human Rights and Democracy." Herald of the Russian Academy of Sciences 62.2 (1992): 3–5. (In Russian). Rastorguev V.N. "Freedom of Thought and the Possibility of Choice: Political and Academic Democracy." Herald of Moscow University. Series 12: Political Science 1 (2005): 58–79. (In Russian). Rastorguev V.N. "Competent Civil Society in the Context of Modern Geopolitics." 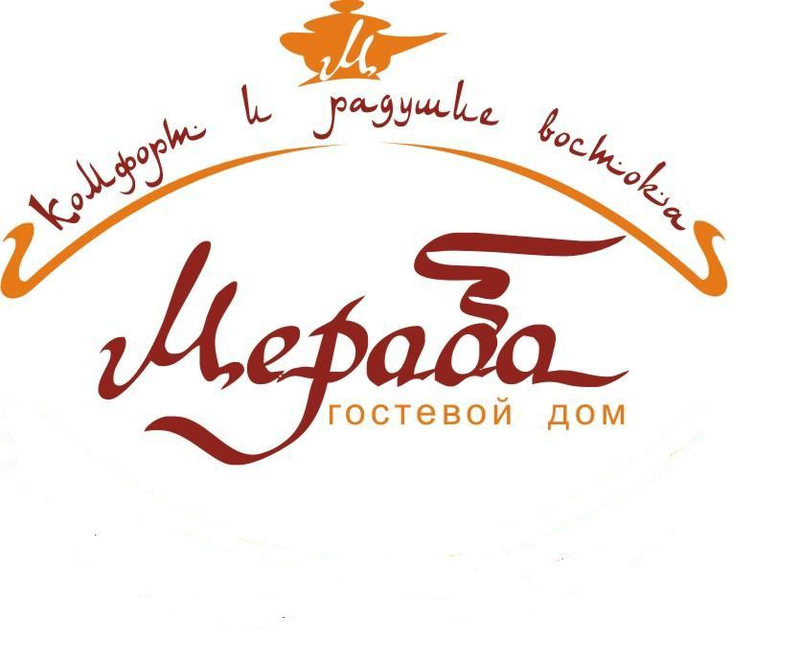 Journal of Slavic Cultures 9 (2008): 4–14. (In Russian). Rastorguev V.N. "Political Planning in Terms of ‘Water Famine’." 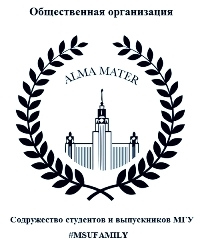 Herald of Moscow State Institute of International Relations (University) 1 (2011): 7–14. (In Russian). Readings B. The University in Ruins. Moscow: State University — Higher School of Economics Publisher, 1996. (In Russian). Timiryazev K.A. Science and Democracy: Articles of 1904–1919. Moscow: Gosizdat Publisher, 1920. (In Russian). Rastorguev, V. N. "Competence in Politics and Competent Civil Society, the Possibilities of Academic Democracy." Elektronnoe nauchnoe izdanie Al'manakh Prostranstvo i Vremya [Electronic Scientific Edition Almanac Space and Time. Civil Society and Society of Citizens: Issues of Theory and Practice. Thematic Issue of the Chair of Philosophy of Politics and Law, Philosophical Department of Lomonosov Moscow State University] 6.1 (2014). Web. <2227-9490e-aprovr_e-ast6-1.2014.13>. (In Russian).